During our journey, which started in 2003 (read about it here), people and companies have helped us. Note that we started this page only in 2011 – many before that greatly contributed to our adventure as well. The below-mentioned people and companies have helped us with car parts, electronics, gadgets, camping equipment, clothes, technical knowledge, maps and books, and more. In return we have tested and enjoyed their equipment and shared our experiences on social media and this website. To us, quality is key and most if not all, of these products are still part of our equipment. Are you interested in joining us on this adventure and do you have quality equipment or a service you’d like to share with us? To get us out of tight spots, 4×4 service Valkenburg equipped us with a Warn winch. 4×4 service Valkenburg supports our adventure all the way. 4×4 service Valkenburg gave us new rear lights. 4×4 service Valkenburg made sure we can signal left and right again. Maxtrax provided us with the easy way out. To beat the door’s rattling, Cruiser Outfitters provided us with an OEM door lock. We got a new TJM smooth ride at Aventuras Extremas in Santa Cruz. We don’t like to drive at night, but in case we have to, Hella prepared us. Our all-time-favorite Hella Flexi Spot provides inside and outdoor lighting. Reversing in the dark is no problem with a Hella rear work-light. The Hella Supertones help us get noticed when needed. The way to survive the Amazonian heat: with Hella Turbo fans. The uberstrong Zenith AGM batteries provided by AK Maritime Service. Victron is making sure our batteries are kept topped up! Tiny Tach gave us an RPM meter for our old diesel. The Instant Trust Marinemakes provides us with pure and clean water thanks to their UV lighting technique. Tigerexped had pity on us during our Siberian crossing and send us a Planar heater. Ben Steiner of Uberlandwerks surprised us with a real Christmas present in the form of much needed new tires! Andrey, of King Tony in Kazakhstan, surprised us with a box full of tools. Sleeping on top of the Cruiser made possible by Carpas Anaconda. Made Sustained makes sure we are keeping hydrated and cool. Arguably the best camping chairs on the planet were donated by Kermit Chair. Learning about countries and cultures with Insight Travel Guides. We have been using the Reise-Know-How maps for ages in return they made us their traveling ambassadors. Karin-Marijke can’t live without her sunglasses and Revo got her the perfect ones. Big Agnes keeps us warm. Over the years Sack Wear has supplied us with cool Land Cruising shirts. Sackwear designed a unique Landcruising Adventure T-shirt for us. Armadillo Champion in warm and comfy thermal underwear. Overlanding in style with limited-edition shirts from Imperial Black. Keeping warm is essential. Big Agnes is providing our much needed nights rest during our big hikes. To prepare before the journey and to read up on cultures we like our Bradt Guides. Brazil: The best exhaust shop we have visited to date. Navega in São Paulo fixed the Land Cruiser for a special deal. 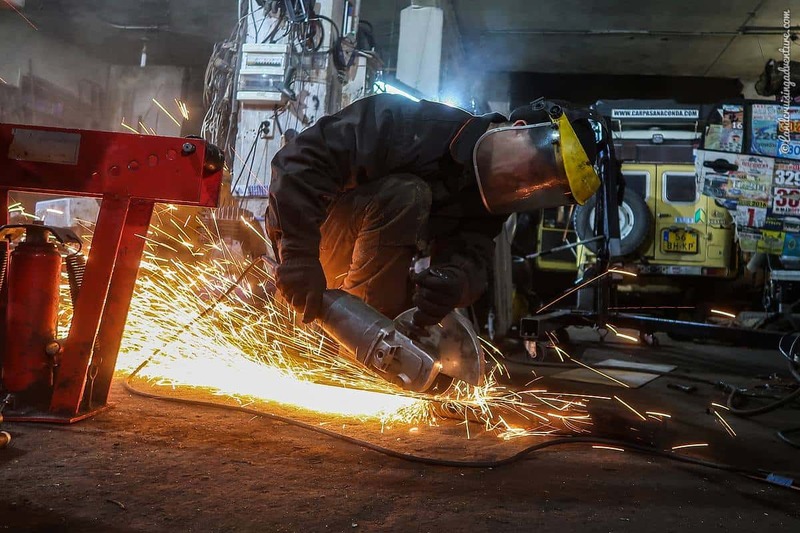 Bolivia: Ernesto is a great place to work on your car in La Paz. He is not the cheapest workshop but his advice has been invaluable. Guyana: A tire-fixing shop in Skeldon didn’t want us to pay for his work. Brazil: Elmer Jeep in Boa Vista helped me fix the air-intake, change fluids and didn’t charge me a dime. 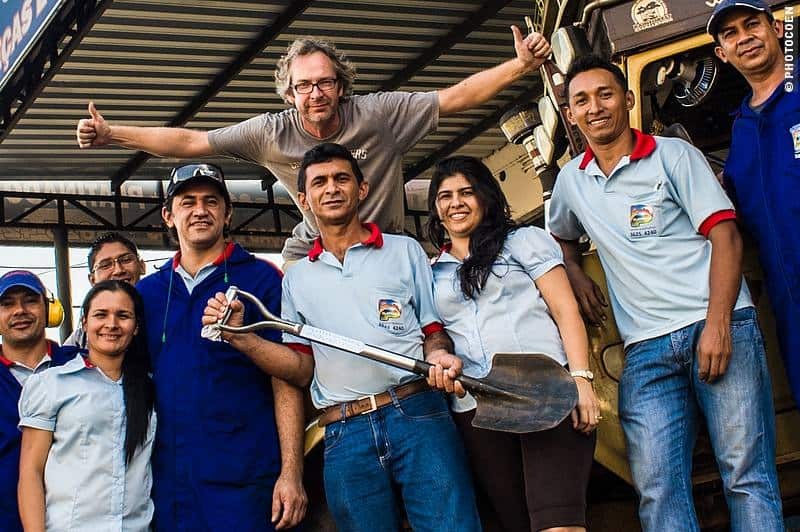 Brazil: Luis and his team of Platinado in Manaus worked on the Land Cruiser for about a week and upgraded our shovel, all for free. Brazil: The guys at Guimaraes Nasser in Belém fixed our aluminum roof and other Land Cruiser issues free of charge. Netherlands: Thank you Henk @ TwinService for making us that stainless-steel tube for the air-intake. Ecuador: Pedro let us work in his workshop in Quito for a month and didn’t want a penny for it. Colombia: Thank you Toyoteros for your help. 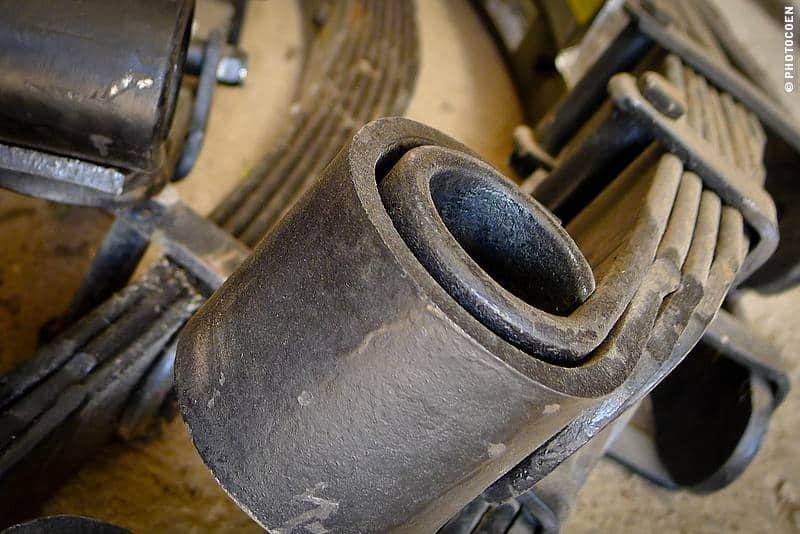 Colombia: Thank you Iguana 4×4 Bogota, for helping us fix several issues with the Land Cruiser. Colombia: Thank you Mauro and Mauricio for your hospitality and help on the Land Cruiser. Venezuela: Rodolfo hosted us and took supercare of the Land Cruiser in traditional Venezuelan style. 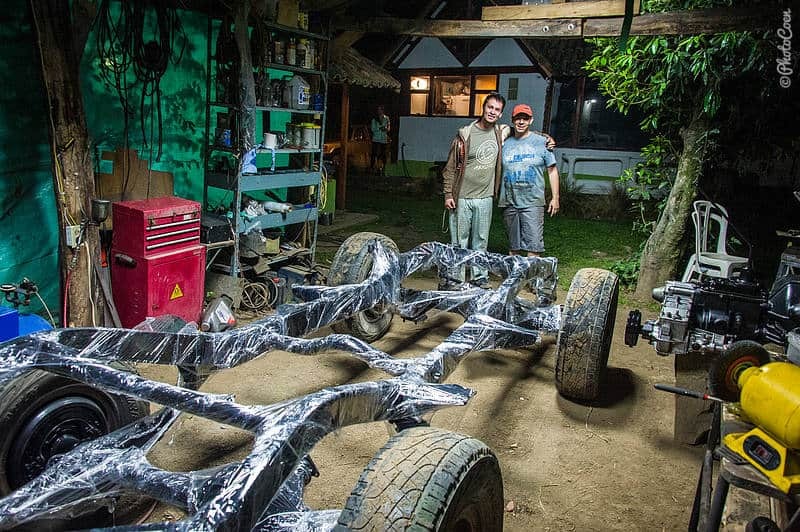 Venezuela: Alexis – El Rustico – gave us with two new rear full-floating hubs. Venezuela: Thank you Toyokelly, in San Fernando de Apure, for fixing the Land Cruiser. Venezuela: Metalwork in Barquisimeto gave us a new exhaust system and worked 5 days to install a stainless-steel watertank. Suriname: Martin, of Traverco and a true 40 series fan has been very helpful in different ways. 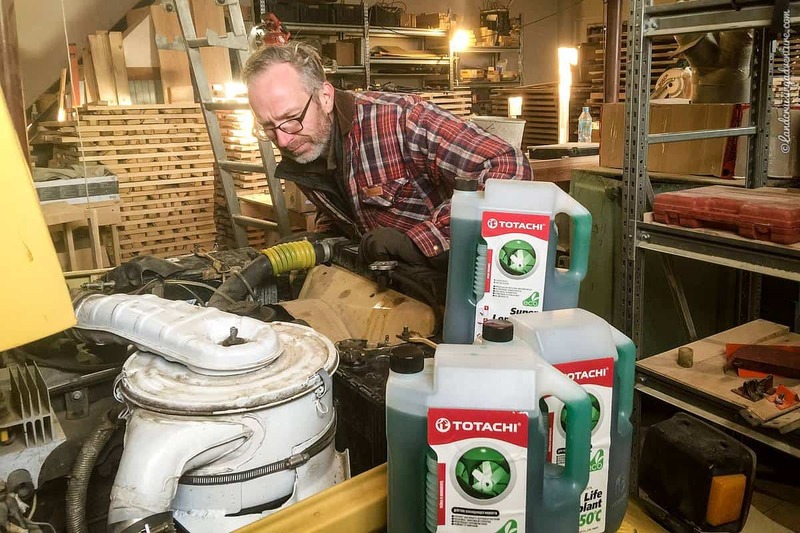 Suriname: Rick from NedSur Shipping offered his place for us to rebuild the Land Cruiser. Suriname: Harold of Suriname Motors helped me out a couple of times and let me work on my own for free. Japan: The guys were working till way past dinnertime to get us going again. Japan: Apart from being our communication wizard in the Land Cruiser community Masa is a very handy guy. Japan: Taku provided roadside clutch assistance and gave us a heavy-duty Dyna clutch. Changwoo at Romance Factory in South Korea spend a good deal of time to solve our mystery of the brakes. Yes, please come to my workshop and we’ll change you all the fluids and tightening those front axle bearings. 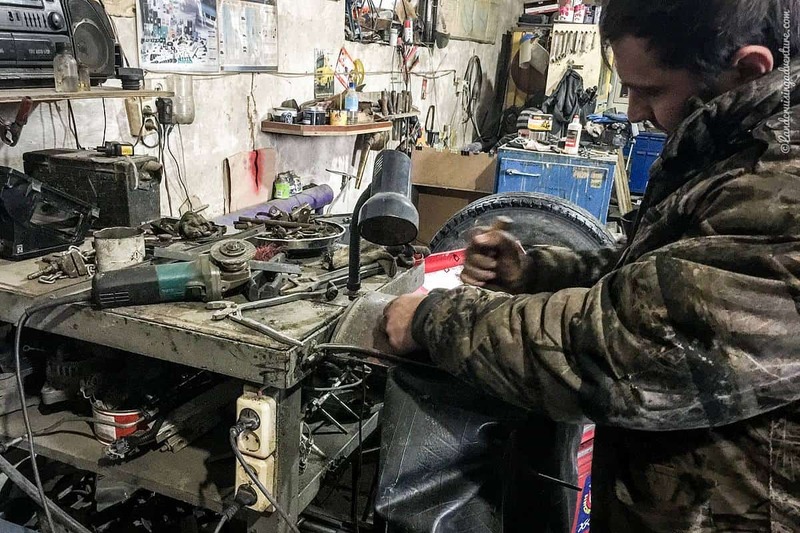 In Ulan-Ude, the local 4×4 club Nomados helped us out with some basic welding. Ruslan helped us out with the extreme temperatures in Yakutsk. He installed double glazing on the front and side windows. Along the road these guys didn’t charge for fixing up the old Blizzak tire, that got destroyed on the Mongolian pistes. Our CS friend Vitaliy in Novosibirsk, was so kind to share his heated garage with us for a few days to tackle the extreme low temperatures starting problems. Vladimir in Almaty did some great frame repairs for us.